Last Updated: 05 Aug 2018. Sunrise is a very nice time of the day. The atmosphere is calm. The morning is pleasant. The air is cool. Sunrise is welcomed in every season. During winter, sunrise brings warmth and it looks pleasant to sit in sunshine. During summer too, sunrise is a good time. The weather is fine. Nature is at its best. A cool breeze wecomes everybody. When the sun rises, there is redness everywhere. The sky is also bright. The sun looks like a red ball having no warmth. But as it rises high, it become bright and begins to spread its heat. The brids chirp. The formers are seen going to their fields. We find many people going for a walk. Some people are seen taking exercise in the open. The dew drops on the grass look like pearls at sunrise. At sunrise there is activity everywhere. The gloominess and darkness of night is gone. The sunrise brings a new message and new hope for the people. People get up from their bed at sunrise. Getting up early in the morning keeps a man fresh throughout the day. At sunrise, the milkmen are seen giving milk to people riding on their bicycles. I go out for a morning walk at sunrise. I go to the garden and have a brisk walk on the grass. It gives me pleasure. Thus, sunrise brings a new hope, a new vigour in life. By Neha bajaj / In Agra..
Sunrise is a very beautiful phenomena that occurs every morning. It marks the beginning of the day with pure thoughts and aspirations. The freshness of air,calmness all over, chirping of birds and the dew drops makes one feel so irrestibly attracted to nature. 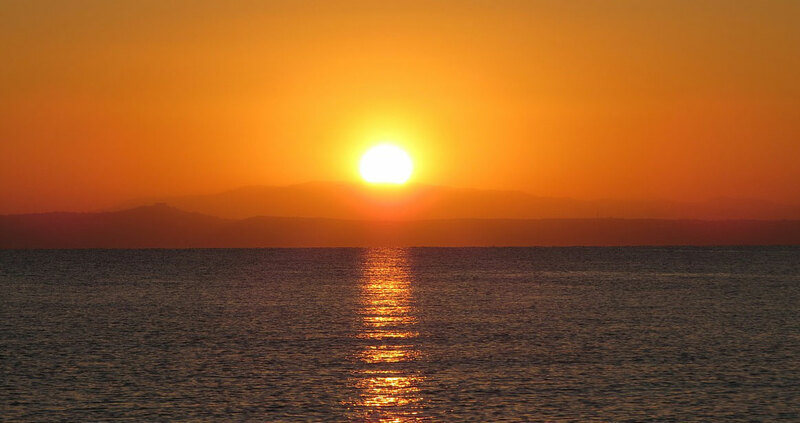 We should wake up before sunrise every morning and ask god for the same brightness in our lives as it is in sun itself.and we all know that sun means surya is our hindu god. By Soniya Advant / In Pune..
Sunrise is that particular moment in the entire day where everything is fresh. The flowers have just bloomed, there are still dew drops on the leaves of the plants, and people have just woken up. It is that time when we all should realize that whatever has happened to us the day before is now a past and we have entire remaining day in our hand to complete and reach near to our dream. It is the time when we can learn from the sun that even if it had set on the previous day, it has risen today again. Similarly we should start our work and move closer towards our ambition with the rising sunset.